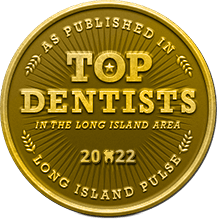 Long Island Dental Implants or Crowns, Bridges & Dentures? If you have lost one or more teeth, you need a high quality replacement to smile with confidence and resume your happy, productive life. 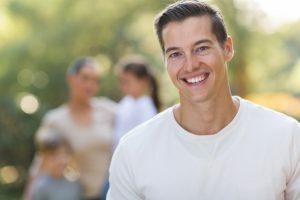 There are, however, a number of tooth replacement options available these days, and it can be difficult to know which one is right for you. So when it comes to you tooth replacement, do you choose Long Island dental implants, crowns, bridges, or dentures? 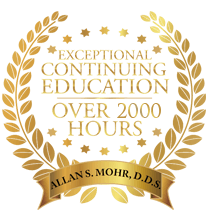 Dr. Allan S. Mohr recommends dental implants for most patients. Here’s why. After tooth loss, you’re not only missing the visible portion of the tooth, or the part we call the crown. You have also lost the root that keeps it in place. Dental implants are the only replacement method that gives you back both. Traditional crowns, bridges, and dentures only replace the white part of the tooth. They help you chew and speak more easily, but without a stabilizing root, the jawbone will slowly begin to reabsorb itself. That’s what bone tissue does when it senses it’s not being used — it goes elsewhere. Dental implants, however, grow together with your jawbone, stabilizing the bone tissue to keep your smile healthy and whole. A comprehensive tooth replacement prevents further tooth loss and ensures your face retains its youthful shape. Dental implants mimic the natural tooth structure more closely. You can eat what you like with dental implants. Dental implants look just like your natural teeth. Dental implants fit like they should from day one and for years to come. There is no need for denture adhesives with dental implants. Dental implants can last a lifetime, far longer than other replacement methods. Dental implants are by far the best tooth replacement, and have a success rate of 95% in eligible patients. However, not all people will be able to successfully undergo the procedure for dental implants. People who are not healthy enough to recover from invasive surgery will need to consider a non-implant retained replacement. Additionally, heavy smokers are likely to experience dental implant failure. Traditional crowns, bridges, and dentures may also be the best solution for people who do not wish to invest lots of time in their tooth replacement. Dental implants can take up to one year to complete. They are also a more expensive means of completing the smile, and often remain uncovered by dental insurance. However, because crowns, bridges, and dentures will need to be replaced every so often as the jawbone diminishes and changes shape, dental implants can be the best investment in the long run. 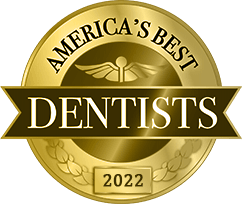 If you are missing one, two, three, or a whole row of teeth in the top or bottom jaw, let’s start discussing which replacement option will suit you the best. You deserve to live with a complete smile once again! Please request an appointment at ASM Smile Creations today. by: allanmohr at March 28, 2017 . 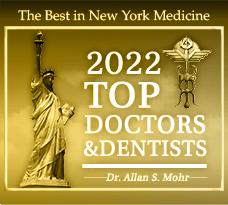 Comments Off on Long Island Dental Implants or Crowns, Bridges & Dentures?